Buy this course as part of the 2 course Kid Zero bundle and save money! Have you ever written an amazing track but the sounds aren’t quite hitting the way you hear in other artists tracks. Or perhaps your track feels like it’s missing something? Writing the different sections of your track is half the battle. The other half is getting the sounds to be wide, thick and intriguing to the ear. This in-depth 2 hour course not only comes with the knowledge you need to make your sounds banging, we also unlock the secrets at the heart of EDM. Have you ever written an amazing track but the sounds aren’t quite hitting the way you hear in other artists tracks? Most of us could agree that having impactful drums is one of the most vital things in a mix. If your track is stimulating musically but your drums are lacking, then even if you have a potential hit on your hand it might never take off. Learn the skills you need to make your drums hard hitting and warm. Make spending hours on getting one sound in your track to sound good a thing of the past. With the right tools and proper signal flow you can get your sounds to sound strong and present in your mix. We all start with the basic tools that come with every DAW. But after a while you’ll realize they just aren’t good enough to put your tracks on the level of the pro’s. As home studio producers we also run into issues where we can get the sound to be loud but doesn’t sound alive or “analog.” Kid Zero unlocks a few of EDM’s secret gems to show you what you need to know to get that banging sound every time you treat an instrument. With so many different tools out there it’s hard to discern which tools you should be up on to make those banging sounds. I mean you can’t buy all of them. We have narrowed it down to a few affordable essentials to get the job done. In this tutorial we will show you how to make any sound big and full so weather it’s played in a club or in a car, it will pass the test. Be exposed to the knowledge the pros don’t want you to know. The techniques exposed in this series will change your production forever. Whether you’re looking to create kicks that are clean and hard hitting or dirty and aggressive, we got you covered. Getting the right sound for your kick will never be a challenge for you again. Kid Zero unlocks the secrets that make EDM drums what it is today. Get the knowledge you need to design your own kicks so they are custom tailored to your ear. Expose yourself to the power of arps and how to use arps to make any sound perform the way you want. Have you ever gotten to a point in your track where your sections need something more but you can’t figure out what it is? If you follow the techniques shown in this tutorial, filling out your tracks will be a thing of the past. From Breaks to Builds, Drops to Leads, this tutorial has what you need to explode on the EDM scene and make your mark. If you’re looking to get into music, then you better start learning a bit about sound processing. Kid Zero will take you trough the steps of processing your instruments to get that banger quality sound. He will cover everything from kick and sub distortion, panning and widening your sounds, even getting creative with midi, risers and FX. Get familiar with the tools you need to add punch and low end distortion to your kicks and subs. 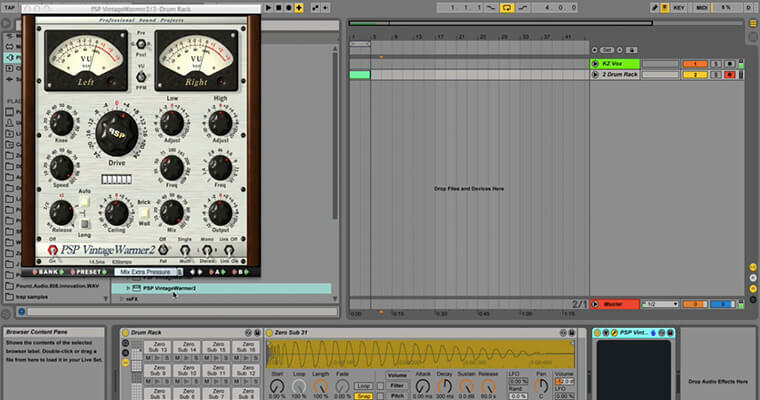 Learn how to make your individual sounds more wide with panning and delay tricks. Don’t over load your songs with layers upon layers, just use the right tools to get the first layers of your kick pounding. Learn how to use these tools properly so go get the energy pumping in your tracks. Learn what every major drop consist of in order to get the crowd at your shows to feel the energy. Have you ever wondered how an artist can have a huge epic riser/build section before the drop but when the drop hits, the drop still has a bigger impact? Learn the techniques you need to make your transitions smooth and super impactful so that when your drop hits it hits with power! When creating tracks often times in home studio produced tracks, everything is sitting on top of each other and it feels like space dispersant is limited and the sound spectrum is overloaded. But for a home studio producer how do you change this? With the use of panning and different FX we will make it so the kick is easily identifiable from the synths and fx while still keeping things wide and strong. While compression is awesome we will be using analog saturation to get our sounds to be thick but still hollow. Making music can be easy and fun if your using the right tools to get the job done. Ever have trouble getting your lead in your drop to sound interesting? 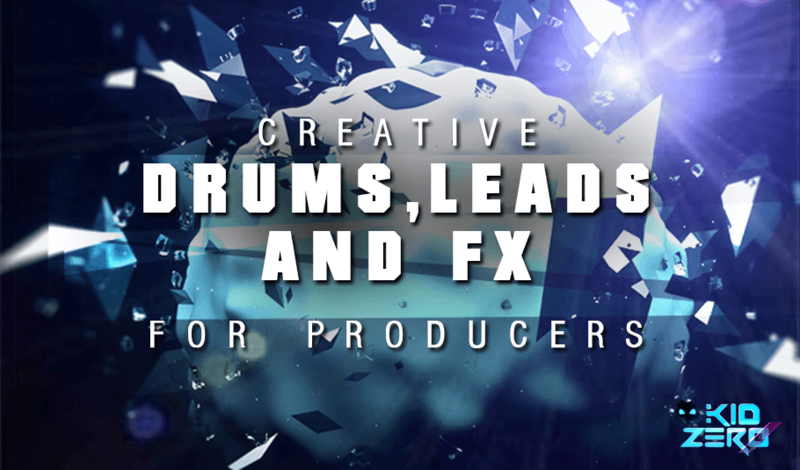 Learn how you can use arps to truly create unfathomable leads. Create sick panning FX with arps, midi and panning to get your audience wondering how you did that. 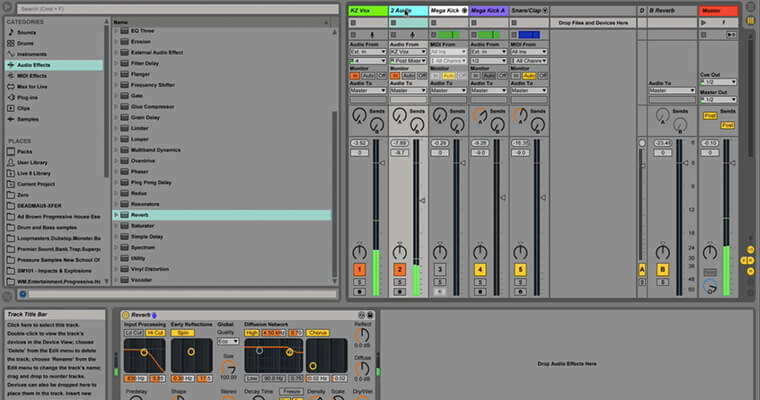 Learn the formula the pro’s use to make sick bangers that rattle the dance floor and club speakers. We are also going to show you how to make things seem wider then the sound spectrum actually is. Discover the secrets that make EDM what it is. Do you ever feel that you have a solid track but there’s something missing? 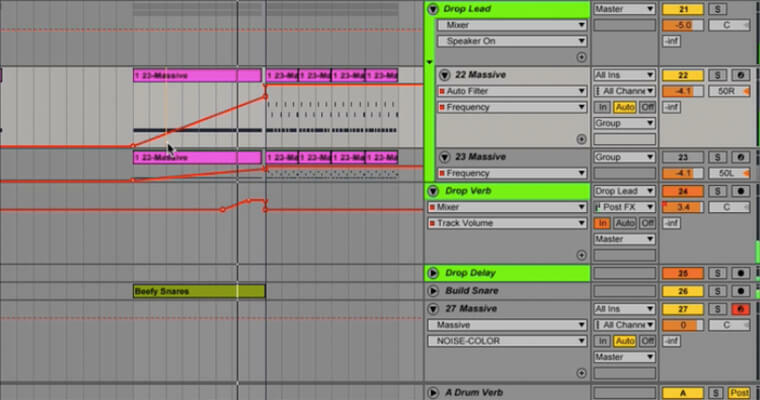 In this tutorial we will take a deeper look into builds and drops and reveal the untold secrets of EDM. We can all agree in most EDM today, though songs may be different in style they all have a few things in common. 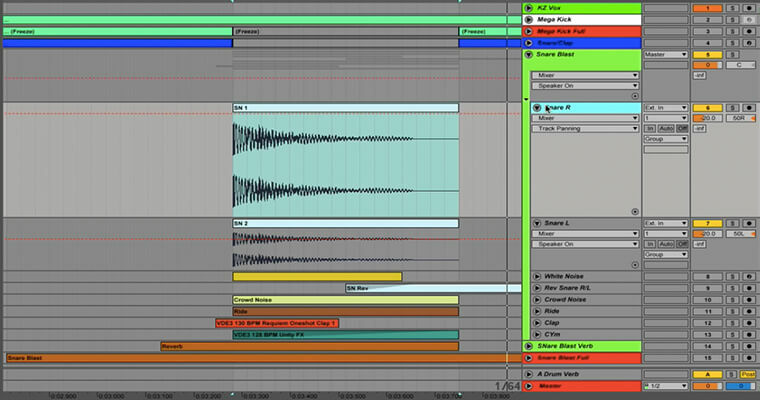 From backing noise to sidechains, from layered drums to reverb there’s something fishy going on in EDM. Uncover the secrets that make big hits what they are and start applying that knowledge to your productions today. Most of the time home studio producers will pick the right FX for their tracks but they way they process and use them is what they are doing wrong. In music when you add a sound of effect, you need to consider the sound spectrum and how it effects the other sounds in the song. This tutorial will unlock a few secrets to getting your FX to sit right in the mix in conjunction to the other instruments in your track. Don’t miss this opportunity to expand your knowledge of the tricks and tips you need to know in order to get your tracks to gel and vibe. In every epic drop we could all agree despite the synths sounding awesome, there is something buried deep in the tracks to add to the fullness and intensity of the sound. Get in touch with the right elements that make a full and impactful drops that helps to add intensity to your tracks without having to overload your tracks multiple synths layered on top of each other.